There are many times you download an ISO file from internet and want to install it on your machine. For eg. Windows or Ubuntu image. What you really wish is flash it iso image into a bootable drive like USB drive or a CD drive and install it from there on your machine. Etcher- is a free and open-source image burner with support for Windows, OS X and GNU/Linux. Easy2Boot- Flexible and configurable USB drive multiboot solution which also supports UEFI booting. 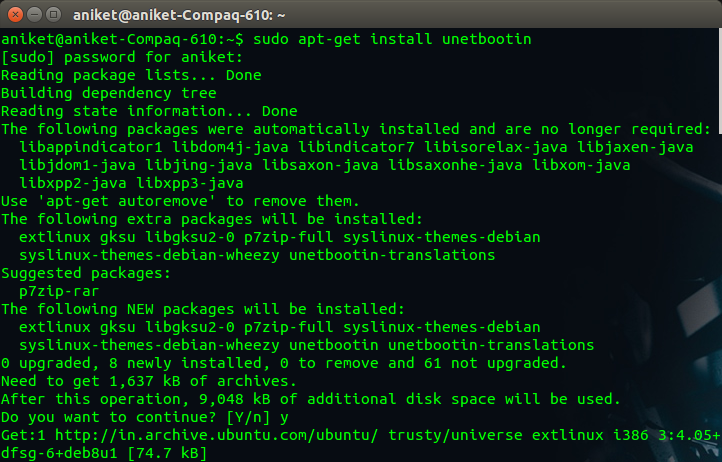 LiveUSB Install- is a free software for GNU/Linux and Windows. 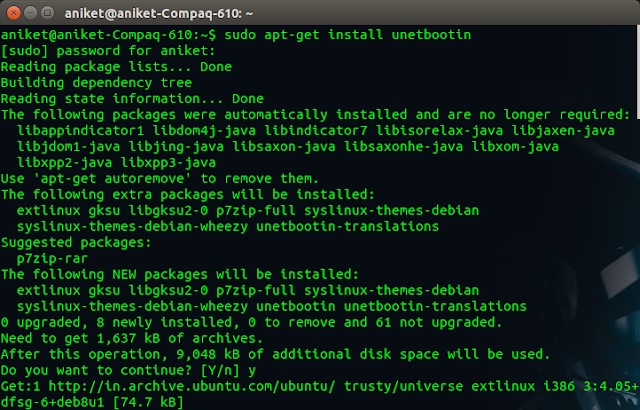 With LiveUSB Install you can effortlessly install various Linux distros. Multisystem- is an awesome tool created by LiveUSB.info that works similar to our Windows based MultiBootISOs USB creator. WinUSB - is a simple tool that enable you to create your own usb stick windows installer from an iso image or a real DVD. 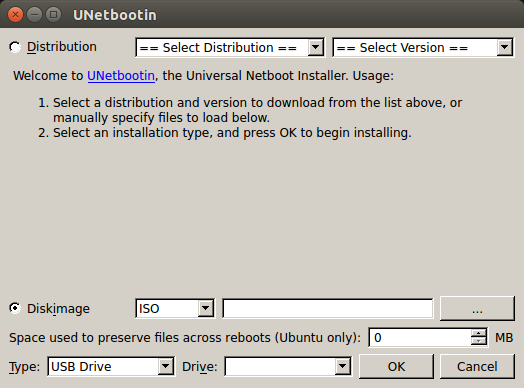 Unetbootin - UNetbootin allows you to create bootable Live USB drives for Ubuntu and other Linux distributions without burning a CD. Once installed you can open the app. 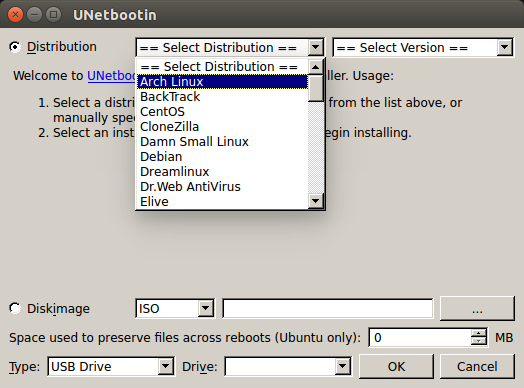 Now you can either select one of the given linux distros (those will get downloaded automatically) or provide it an iso file from local machine. Once installed you can open up the app select iso file and target usb and start creating bootable usb drive for windows. NOTE : If you are looking for rufus then it is for Windows only. You cannot use it on your Linux machine. With Java 5 a lot of concurrency mechanisms were introduced for synchronization. Today we will try to understand these. Not only their understanding helps us with multithreading they are also a popular topic of Java interview question. Let's see them one by one. Semaphore maintains a number of permits for a resource and only that many number of threads can access the resource. If the maximum permits allowed is reached then threads will have to wait till some other thread owing a permit releases it. As an example lets consider a simple semaphore with 1 permit. It's called binary semaphore. It's similar to wait and notify on same object. As you can see from code above you acquire a permit using acquire() method and release a permit using release() method. You can also acquire permit using acquireUninterruptibly(). This is a blocking call and the thread cannot be interrupted. You can also use tryAcquire() call which will try to acquire the permit and if available will return immediately with true. If it is not available it will also return immediately with false. So this is a non blocking call. This is another synchronization mechanism in which a resource is not allowed access till predefined number of threads don't complete their operations. So lets say there are 10 threads making a bread slice. As soon as we are ready with 5 slices we can lets say pack it together for selling. In this case we can use a CountDownLatch. Initialize one with 5 and as soon as 5 threads acknowledge they have finished making slices we can start packing (probably a new thread). All other threads finish operation! As you can see main thread calls await() on the countdownlatch and wait for 2 threads to call countDown() on it. Here n is 2 but you can configure it in the constructor. You need to use this when your use case is to wait for some other initial operations to finish before starting some other operation. CountDownLatch is not reusable. So once the count reaches 0 i.e n threads have called countdown() the latch is unusable. CyclicBarrier is yet another synchronization mechanism. In this, all n threads will wait for each other to reach the barrier. Such waiting threads are called parties. 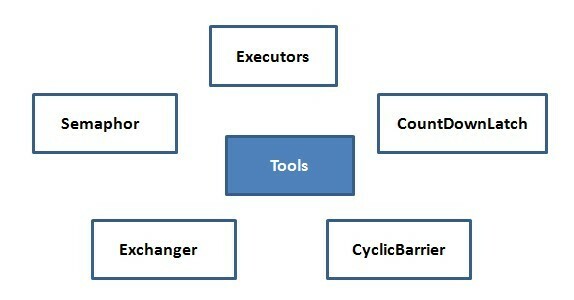 The number of parties are set in the CyclicBarrier during its creation. All parties reach the barrier and call await() which is a blocking call. Once all parties reach the barrier i.e all call await() then all threads get unblocked and proceed for next execution. Simple use case that you can think of is a multiple game scenario in which a game would not start until all the players have joined. Here all the players are parties whereas game start is a barrier. As you can see all threads (3 in above case) will wait for each other to reach the barrier. Once they all reach and call await() they can all proceed to their further tasks. cyclicBarrier.reset() will put barrier on its initial state, other thread which is waiting or not yet reached barrier will terminate with java.util.concurrent.BrokenBarrierException. So CyclicBarrier can be reused unlike CountDownLatch. Both CyclicBarrier and CountDownLatch are used to implement a scenario where one Thread waits for one or more Thread to complete there job before starts processing but there is one Difference between CountDownLatch and CyclicBarrier in Java which separates them apart and that is, you can not reuse same CountDownLatch instance once count reaches to zero and latch is open, on the other hand CyclicBarrier can be reused by resetting Barrier, Once barrier is broken. One major difference is that CyclicBarrier takes an (optional) Runnable task which is run once the common barrier condition is met. It also allows you to get the number of clients waiting at the barrier and the number required to trigger the barrier. Once triggered the barrier is reset and can be used again. Semaphore : Manages a fixed sized pool of resources. CountDownLatch : One or more threads wait for a set of threads to finish operations. CyclicBarrier : Set of threads wait for each other until they reach a specific point.